Earth Day is coming up next week, and I received a challenge of sorts from someone representing Tic Tac® mints to come up with a fun way to reuse or upcycle a Tic Tac® container. Now, I want to pause for a few quick notes. 2. I love these mints, but it has been a while since I had one. The packaging is different from the last time I had them (which might tell you how long it has been), but the mints have the same appeal they always did: My grandma (who is no longer with us) always carried them, and they bring back good memories. Anyway, back to this challenge. I had no idea what I would come up with, but the fine folks at Tic Tac® offered an incentive: free Tic Tacs (12 packs!) for one lucky reader! So, I took them up on their offer. 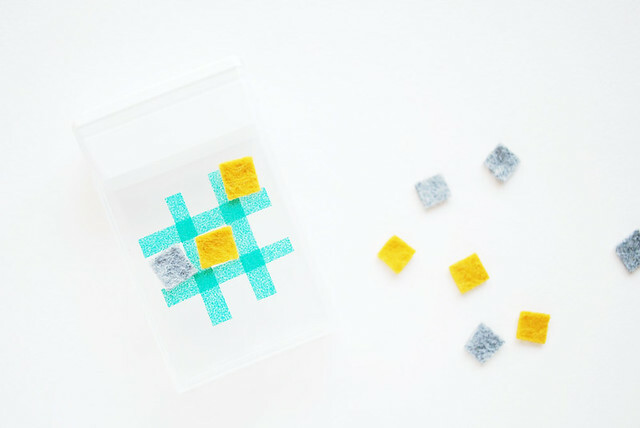 At the end of this post you'll find giveaway information, but first...here's how to make your own Tic Tac® Toe game (see what I did there?)!!! This mini travel game of Tic Tac® Toe is perfect to keep in your bag when you're on the go. Yes, I realize you could just draw it out on some scratch paper, but where's the fun in that? And this is so easy, you could make a bunch so that every little person you know has their own. 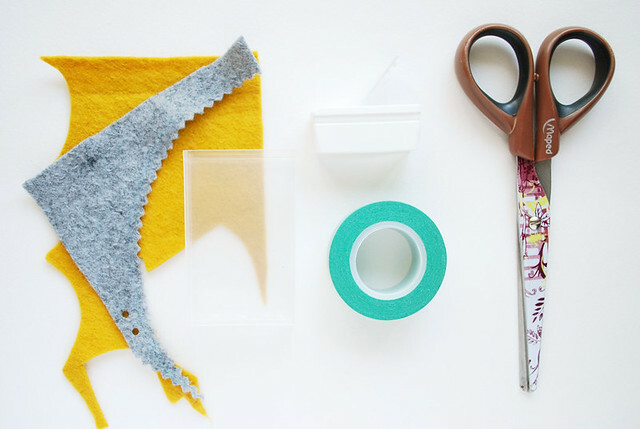 Cut a piece of washi tape that is about as wide as the Tic Tac® container, then cut that into 4 thin strips. 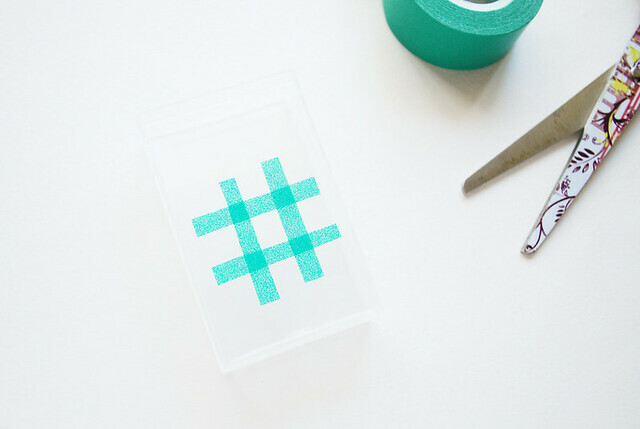 Place the pieces of tape onto the container in a tic tac toe pattern. If you don't have colored tape, you could probably use acrylic paint for this, but I'm not sure of the results. Certainly it would be prone to scratches. 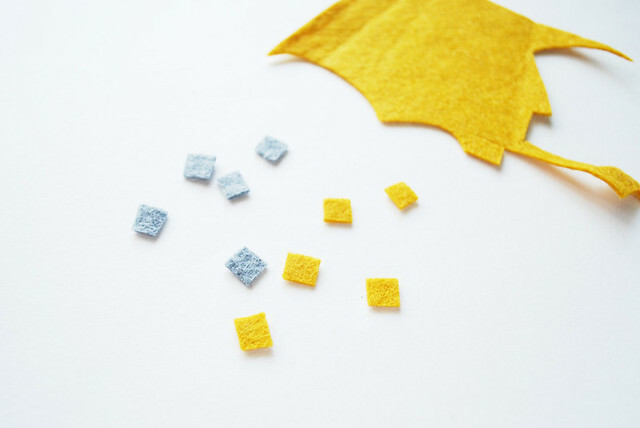 Cut small pieces of felt. You'll need 5 pieces of each color, but you could cut extras in case some get lost along the way. When you're done, stow all of the pieces inside, and snap the lid closed. The pieces are small enough that you can just shake them right out of the lid when it's time to play! I only bought the white kind, but another way to do this would be to fill this container with two different flavors/colors, and use the mints as your playing pieces...how about that?! And I promised you a giveaway. One lucky reader gets a package of 12 packs of Tic Tac® mints! That's a lot of little games! (and bonus: fresh breath!) So...Leave your name and your favorite color/flavor of Tic Tac®, and I'll announce a random winner. UPDATE: We have a winner! Congratulations to Maureen! This post made me smile - thanks - cute for my nieces and nephews! love little ideas like this. thanks again! This is a great (& adorable) idea! My favorite tic tacs are the wintergreen! When we are in Hungary serving as short term missionaries, we get the passion fruit tic tacs. They are yummy and my favorite. Love the little game. I'll have to make it for my grands. The orange ones are my favorites too. But they always make me feel like I'm eating candy, not getting fresh breath. I love the orange ones and the vanilla ( is that their name ) ? the white ones. Super delish!! Cute little game. That would be a fun project for kids to make (an Earth Day craft?). (speaking of Earth Day, I stitched up the free earth day pattern and it turned out so cute--my first completed hoop!). As for tic tacs? I like the orange ones. That is such a cute idea! I made an outdoor survival kit that fit into a Tic Tac box once, but this is infinitely more adorable! My favourite flavour has always been orange. Why is it that we almost all tell you a color instead of a flavor? My favorites are "the orange ones", too. 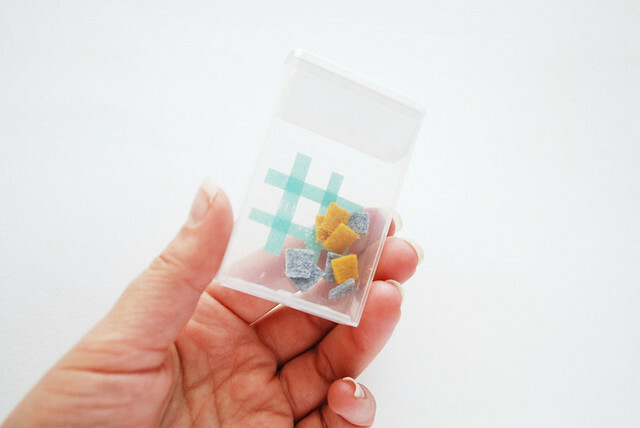 That's a very fun idea - now I'm thinking of other fun little "stash and go" games with tic tac containers! Yummmmmmy! How cute! 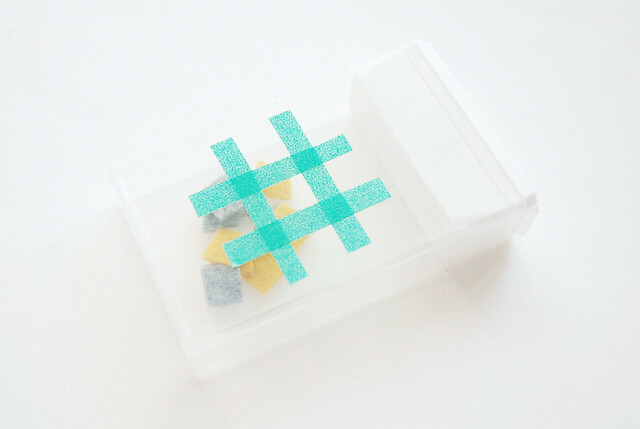 I have always wanted to make something with a tic tac container :) My favorite color is blue, they are really tasty too. Eeeep! This is so cute! This is awesome! Love it! My favorite tic tacs are the orange ones...delicious! I have recently tried the papaya&lime tic tacs and they ae fabulous! What an adorable idea. I might have to try it with my church class. And I love the orange one too. Honestly, where do you come up with these ideas? Never would I have thought of this one. Too bad the pieces are too small for faces to be drawn on them. P.S. I haven't had Tic Tacs in years but my favorite ones were the green mint ones when I did buy them. Cinnamon if I can get it, then orange. I'm not big on the white ones, but that's what my kids like. When my kids were younger and we were travelling, it was hard sometimes to get them to 'try' to go to the bathroom at the rest stops. I wanted them to try because sometimes it was a long time between stops. I would bribe them with a tick tack to 'try'. My 15 year old talks about that now and thinks it's so funny. My kids love the orange ones. They beg for them every time we check out at the market. Thank you for the fun idea and a great giveaway! 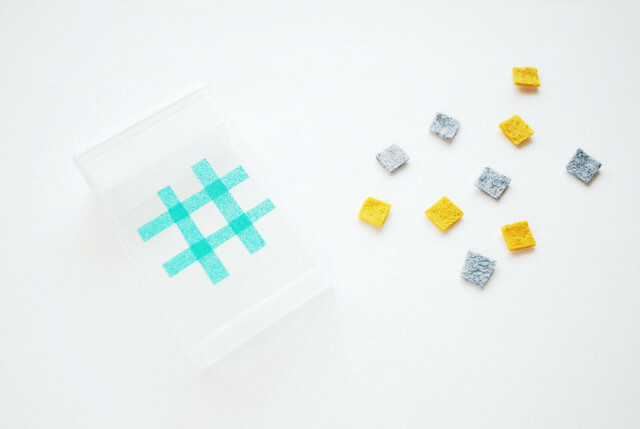 I love the tic tac toe idea but i might try painting the from with chalkboard paint, then using acrylic paint, paint the grid. The kids can store bits of chalk and a wipe scrap in the box. I usually reuse mine for mini "I spy" games. Neat idea! Love the play on words :) My son and I both are fans of the orange ones. Thanks for sharing! I love love love the orange ones but some of the flavors like papapya and lime I have never heard of. I have used mine to carry needles in for stitching on the go. They also hold my mini rotary cutter blades so once they are dull I change them out and throw away the old one in the Tic Tac box so that no one in garbage land gets hurt. What a fun giveaway! My favorite flavor of tic tacs is the traditional minty ones. I think you could also use little buttons instead of felt or something similar to buttons - that way they also rattle in the container. I still love that and would have absolutely adored playing with something like that as a child. Eeeeh so cute and fun! Definitely like orange the best! That is so adorable!! I like the orange tic-tacs. Very cute idea. Will have to remember it when I have grandchildren. My favourites are the white ones. Oh, how adorable. I love the orange ones!!! This is so cute!!! I like the white ones.. Thank you!! How cute - love the spearment tic tacs. ohhh I can't get tic-tacs here. Do they still do the packs with half green and half orange they would be fun to play tic-tac-toe with and you could eat the counters when you are done! 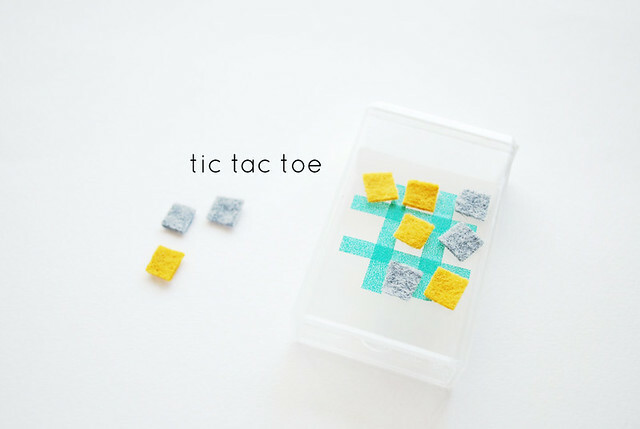 What a cute idea and a clever play on the Tic Tac name! 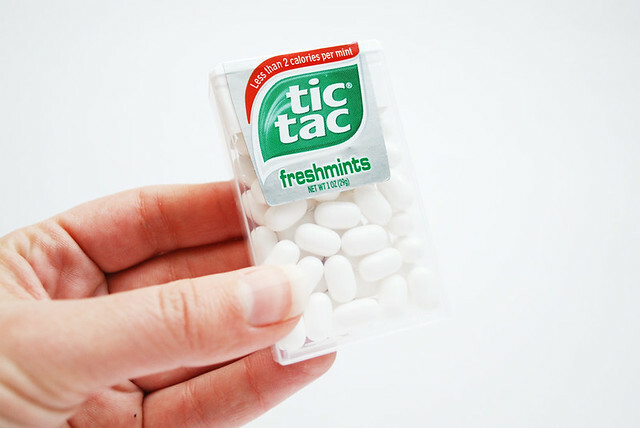 My favorite flavor of Tic-Tac is wintergreen (or any of the mint flavors). How cute! I love tic tacs - white is my favorite! As a child I liked the orange ones most and I only know them and the white ones you used. You can also fix something inside the box, so you won't get scratches on it. PS: Your new picture is truly lovely! I love love love the spearmint ones but there all rather lovely! I love the white ones. This game is so sweet! Oh...how adorbs! Your projects and ideas rock my socks off! I wish I had an IRL friend like you! I lurve the cinnamon tic tacs but am worried now that I am seeing people are having trouble finding them! Thanks for the post, giveaway, and sweet perspective on Earth Day...totally with you 100%! SUCH a cute idea Mollie! How do you come up with all these great ideas?!? You're amazing. 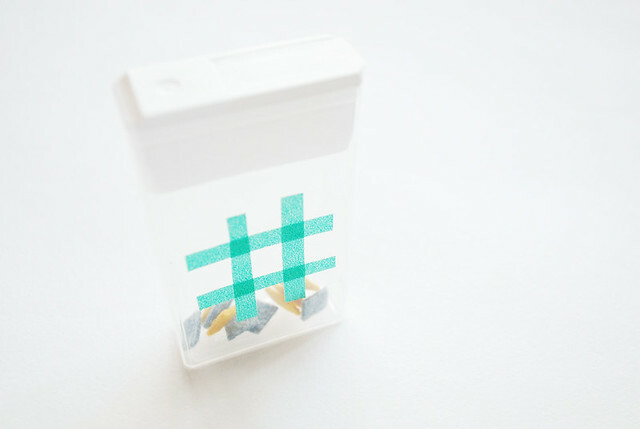 I definitely like the white and teal-ish tic tacs.